Life Cell supports Sea Tow Foundation’s Designated Sober Skipper program. A day out on the water has enough risk involved; adding in an impaired captain only increases those risks. Safety equipment can save your life, but a drunk driver can put it in danger quickly. Here at Life Cell we are all about having the proper safety equipment on board, but if your driver is drunk your life is still endangered. This is why Life Cell is highlighting the Sea Tow Foundation’s Boating Under the Influence campaign known as the Designated Sober Skipper program. The goal of this program is to reduce the number of alcohol-related boating accidents by urging boaters to always Designate a Sober Skipper each time they head out on the water. According to the U.S. Coast Guard, alcohol use has been the leading known contributing factor in fatal boating accidents for more than 15 years. The Sea Tow Foundation launched the Designated Sober Skipper program five years ago through funding from the Sport Fish Restoration & Boating Trust Fund as administered by the U.S. Coast Guard. By forming partnerships with marinas, organizations and companies across the country, the Foundation is utilizing grassroots advocacy to urge boaters to “Take the Pledge” to Designate a Sober Skipper each time they launch their boats from their favorite marina. Boaters who take the pledge are given bright yellow wristbands to showcase their commitment to staying sober while at the helm. Boaters can stop by participating marinas or go online to take the pledge today. For more information, visit www.soberskipper.com. With a focus on safe boating practices that result in fun on the water, the Sea Tow Foundation – a 501(c)(3) nonprofit organization – was established in 2007 by Sea Tow Founder Capt. Joe Frohnhoefer. After his passing in 2015, Captain Joe’s legacy continues as the Foundation brings attention to the number of preventable boating-related accidents, injuries, and deaths, and directly addresses prevention methods through education and awareness. 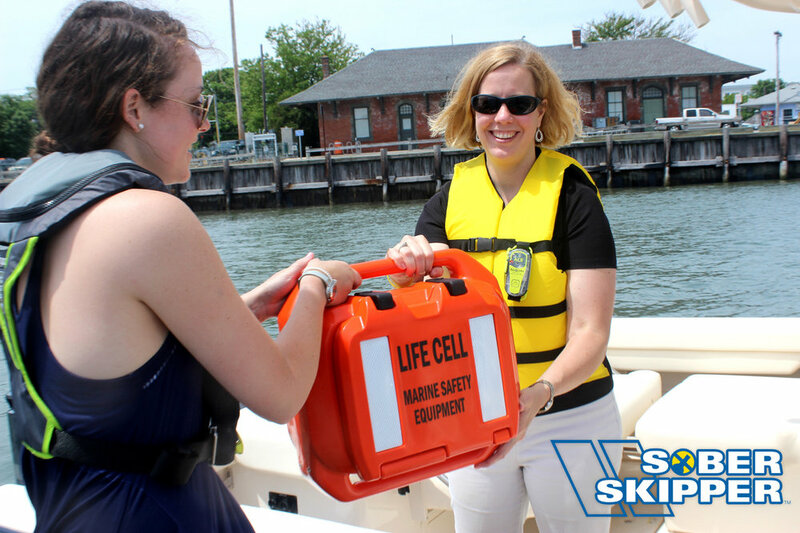 More than 450 life jacket loaner stands are now available across the United States and the Foundation’s Designate a Sober Skipper program continues to grow. For more information, please visit BoatingSafety.com.